Zack Elowitch rushes for 267 yards and three touchdowns as the Bulldogs roll past Edward Little, 49-15. PORTLAND — Zack Elowitch was unstoppable on offense. Nathan Kapongo was utterly dominant on defense. 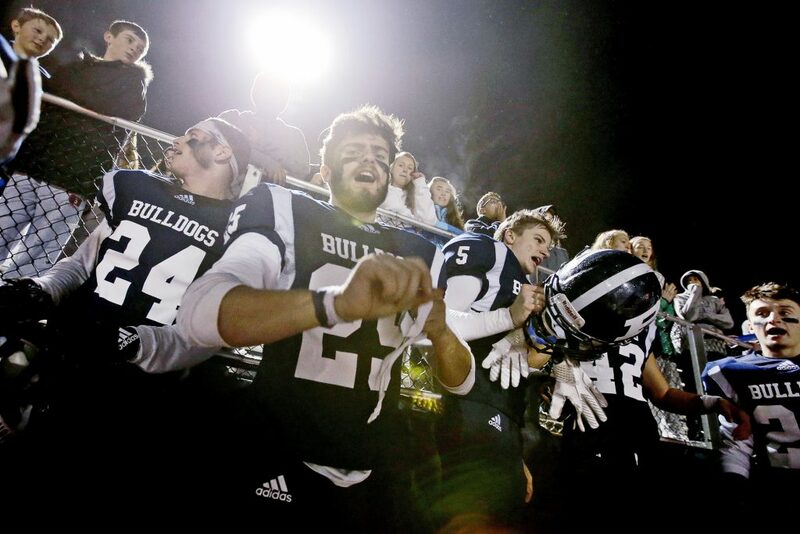 And that winning combination has sent the Portland Bulldogs off to the Class A North final once again. 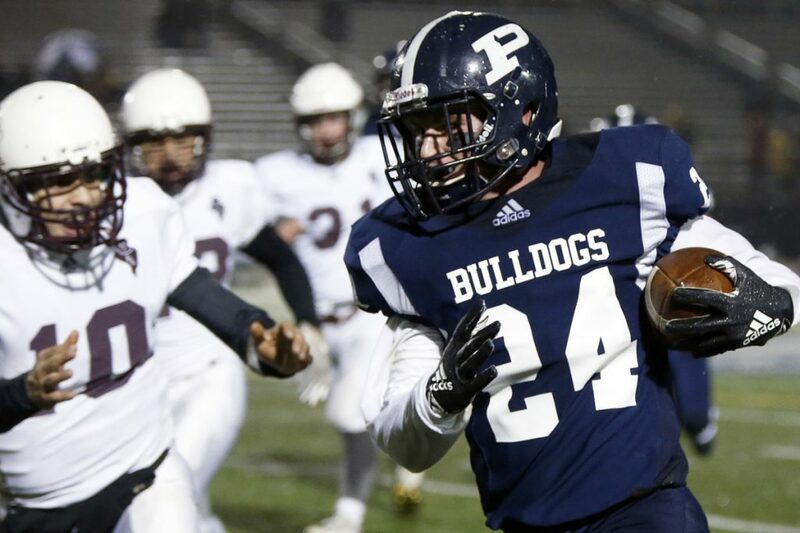 Elowitch ran for 267 yards and three touchdowns, and Kapongo registered four sacks to help top-seeded Portland overcome a sluggish start and roll to a 49-15 semifinal win over fourth-seeded Edward Little at Fitzpatrick Stadium. Portland will host either No. 2 Oxford Hills (6-2) or third-seeded Cheverus (7-2) next weekend, its fourth consecutive appearance in the regional final and fifth in six years. Ben Stasium intercepted EL quarterback Leighton Girardin on the first series of the game, and four plays later, Sam Knop scored on a 1-yard keeper for a 7-0 lead. The Bulldogs then drove deep into Edward Little territory, but Knop was intercepted by Josh Hamel in the end zone. Two plays later, the Red Eddies tied it, as Girardin rolled left and found Ricky Cote wide open behind the defense for an 80-yard score. Portland pulled away in the second quarter, however. 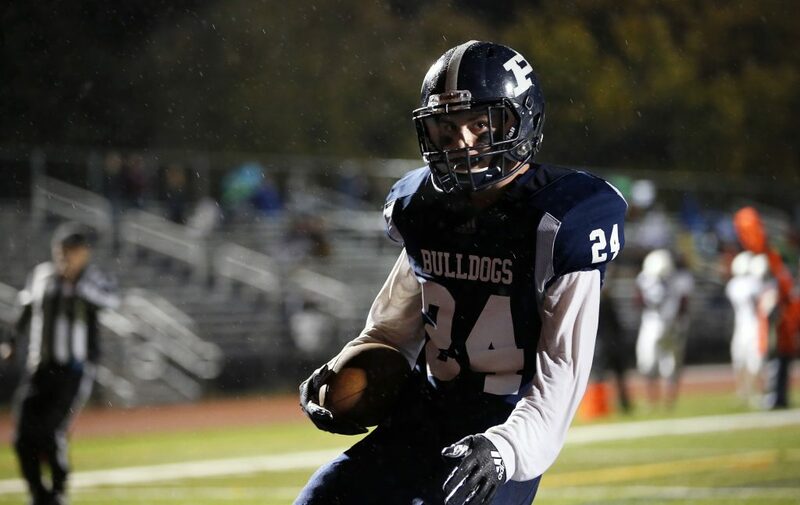 Elowitch put the Bulldogs on top with a 10-yard burst, then added TD runs of 44 and 26 yards. On the other side of the ball, Kapongo had four sacks and Portland forced two turnovers to hold a comfortable 28-7 halftime advantage. 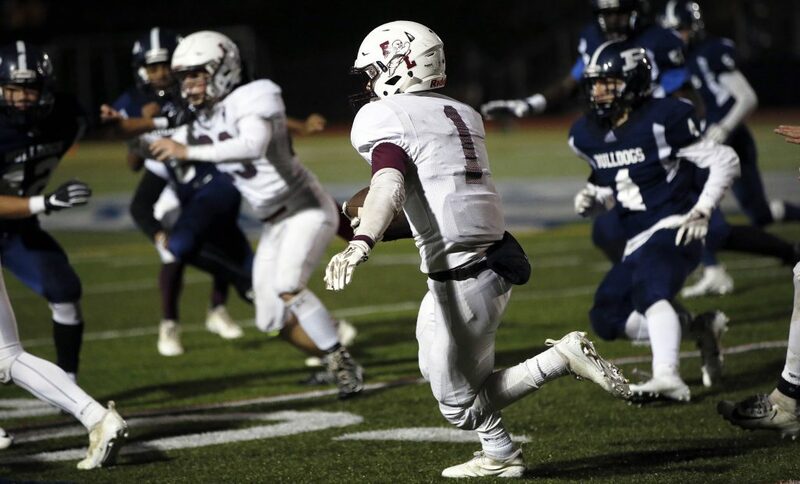 The Bulldogs ended any remaining doubt with a 10-play, 63-yard drive to start the second half, as Trevaun Carter got in on the fun, scoring on a 6-yard run to extend the lead to 35-7. Late in the third quarter, Knop’s 13-yard touchdown run induced the mercy rule running clock. 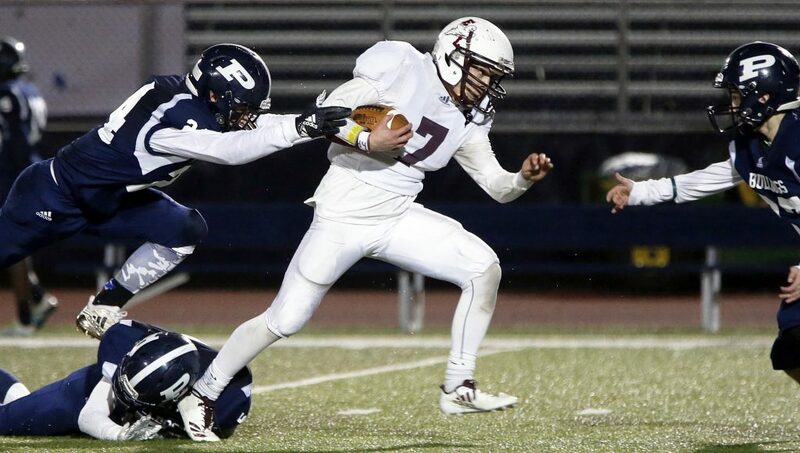 A 1-yard run by Ben Levine accounted for Portland’s final points. Edward Little got a late 39-yard scamper by Girardin, followed by a Girardin 2-point conversion rush. 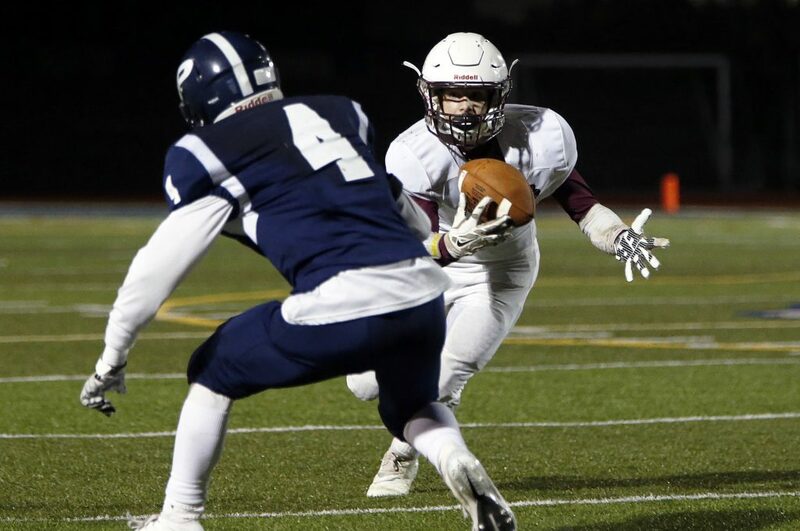 Girardin completed 14 of 22 passes for 197 yards, a touchdown and two interceptions, and ran for 54 yards with a TD on four carries. Hamel had six catches for 74 yards, and Cote caught three passes for 95 yards and a touchdown. “We’re playing down the stretch here with a lot of underclassmen,” said Red Eddies Coach Dave Sterling. “We’ve had injuries, and our leadership had to take a back seat because of them.